Courtesy of Willene Poteat, W. P. ENTERPRISE. ENTIRE BUILDING PRICE. DETAILS FOLLOW. SOLD AS IS. 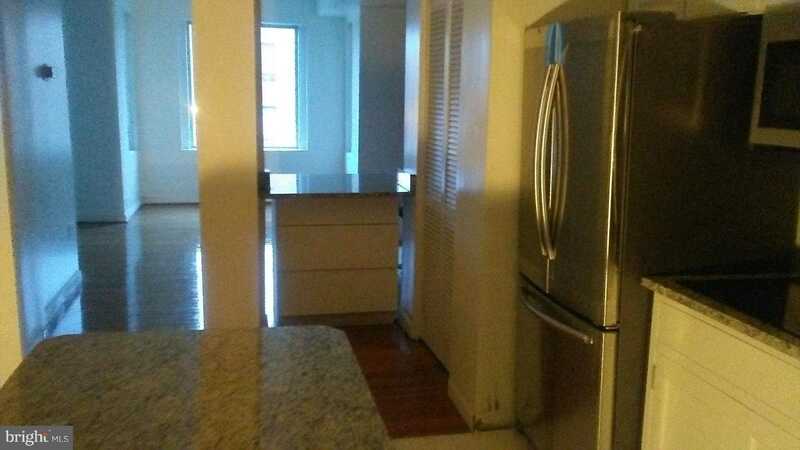 Spacious, Renovated Condo (1,263 sq. ft. approx. ), 2 condos with 2 bed, 1 bath, 2 marble/masonry fireplaces surrounded by 3 walls exposed brick, in 2nd floor condo, 1 exposed brick, marble fireplace in 1st floor condo, all condos with recessed lights, plenty of natural light, 2nd floor condo with new granite countertops, cooktop and over the cooktop microwave, new stainless steel appliances include Bosch, new hardwood and carpet flooring, 9 feet ceilings, ceramic tiles in kitchen and bath, walk-in closets, etc.. Additionally, 1st floor condo has 2 solid oak pocket doors, 10 foot ceilings, and original hardwood floors. Partially finished and roughed in basement has stepup round kitchen, step dowm master bedroom and 2 additional bedrooms, totalling 3 bedrooms in basement, with exposed brick on upper wall of on one side of basement. 3rd condo is about half the size, with 1 bedroom, 1 bath, skylight, refinished claw foot tub, and has drawings for addition to be added to nthe 3rd floor condo, drawings contain 2 additional bedrooms with walkin closets, walk out of sliding glass doors with paladian window, and window in 3rd bedroom with paladian window over window that has a sitting area in the 3rd bedroom. 2nd bathroom to be added to already approved drawings. 2 (approved) to 4 parking spaces in backyard. Home Owner Warranty provided by Seller at settlement. Walk to Metro, shopping & entertainment. Appointments available upon request. Owner/Agent. Please, send me more information on this property: MLS# DCDC399186 – $2,300,000 – 1433 Nw Clifton Street Nw, Washington, DC 20009. I would like to schedule a showing appointment for this property: MLS# DCDC399186 – $2,300,000 – 1433 Nw Clifton Street Nw, Washington, DC 20009.